Is Xiaomi's POCO F1, really a True Flagship Smartphone? 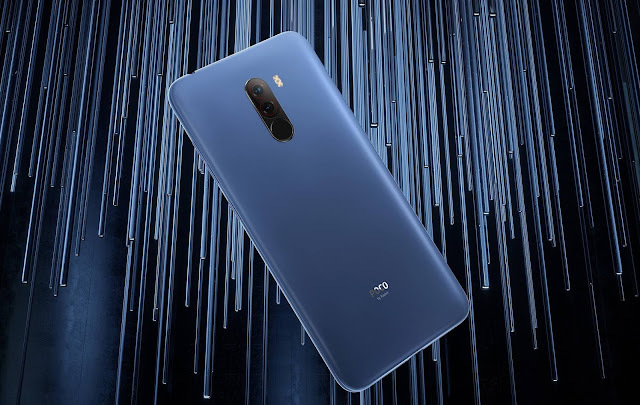 In late August of 2018, Xiaomi India launched a new phone under a sub-brand POCO. They claim it to be the cheapest flagship device because for sure, based on specifications provided by Xiaomi on this POCO F1 is exactly what a flagship phone consists of. Many OEM are now focusing on the flagship models in order to conquer the market of Samsung and Apple's flagship market series. The recently launched Asus Zenfone 5z Created a buzz in the flagship market industry and no doubt it has some serious capabilities to beat another flagship king - the OnePlus 6. Also coming to price Asus Zenfone 5z is aggressively priced at $500 but that's also not the cheapest flagship after the launch of POCO F1 which is now available at $300 only and it is the cheapest of all phones with Snapdragon 845 SoC which is a flagship processor from Qualcomm. However, today we will discuss whether these flagship titled devices are really a power-packed flagship device or just a mid-range device with flagship processor. What is a flagship smartphone? Basically, Flagship is actually the phone which is most important to the manufacturer and is sophistically highlighted to the customer and it should be the best or most important product owned or manufactured by a particular smartphone maker. We can also conclude the above meaning as the Best of all smartphones. It must have all the basic qualities which are needed to stand out in a tough competition in the market. Flagship devices are power-packed devices with overall best in class having all necessary qualities which a person deserves. Here are some qualities which a flagship device should possess. Although many people don't believe in written specifications it is the only thing which is considered primarily before you decide to buy a new phone. A good specification is a symbol of a great device and the same goes for the new Xiaomi's POCO F1 which extremely good if you see it on paper. So, coming to specification comparison we will compare specifications of POCO F1 with a true flagship phone's specifications. Xiaomi has been identified as a budget oriented device maker and most of its phones are having Snapdragon 625 and 636 processors which were just budget oriented mid-range processors but Xiaomi also didn't fail to prove itself in flagship series where they launched POCO F1 with the latest flagship processor which is Snapdragon 845 at a very high aggressive price in the market. Snapdragon 845 in the POCO F1 is the same processor which powers the premium flagship Oneplus 6, Asus Zenfone 5z and also one of the variants of Samsung's Galaxy Note 9 and is much powerful and latest than the processor used in the Google Pixel 2 XL which is powered by Snapdragon 835. Xiaomi's previous launched device Redmi Note 5 Pro was the crowned king of camera department in the budget mid-range segment. In this latest device POCO F1 they have almost same camera specifications which are the Primary 12MP rear camera, 1.4μm large pixel, f/1.9, dual-pixel autofocus and Secondary 5MP rear camera, 1.12μm pixel, f/2.0 along with dual tone LED. The front camera is of 20MP which is pretty decent on paper. 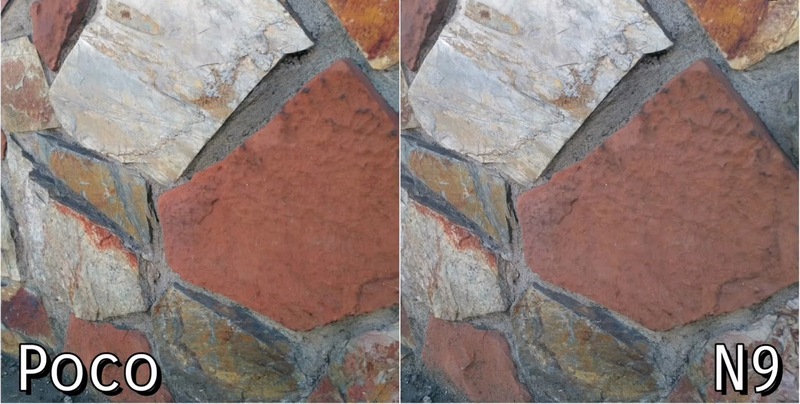 The camera of this device is based on AI. When the camera of POCO F1 is compared to most of the flagship phones it even beats most of the flagship devices but on-paper-only. Well in this field also POCO F1 stands a good choice for many since it basically provides everything like 4G network, Supports 2.4G WiFi / Supports 5G WiFi / Supports WiFi Direct and also Supports Bluetooth 5.0. The sad part is that it is not having NFC which nowadays every flagship smartphone have. It has 3-choose-2 hybrid SIM tray which means you can put 1 Sim card on one slot and on the other you can either put a SIM card or a MicroSD card for storage expansion. Most of the flagship smartphone lack MicroSD slot. This is the most interesting department of the POCO F1 as it has three variants of RAM and storage available for the phone. The basic variant is 6GB+64GB followed by 6GB+128GB and higher variant consists of 8GB+256GB of RAM and storage. Storage is probably not a problem since you are also getting a good choice of storage expansion via a MicroSD card. The good thing about POCO F1 is that it is having a USB type-C charging port and not the old micro USB port. It features a power-packed battery of 4000mAh which supports Quick Charge™ 3.0 and that's actually more than any other flagship smartphone at this price range. 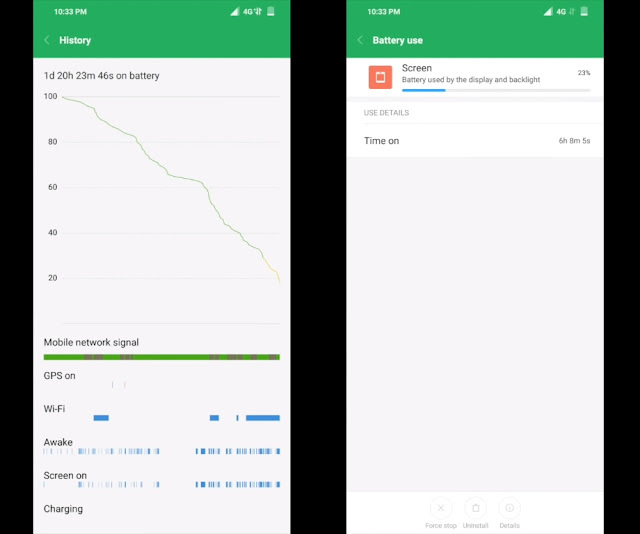 However, having a 4000mAh isn't a big deal but its performance actually depends upon the manufacturer how they have optimized the phone to use the battery. 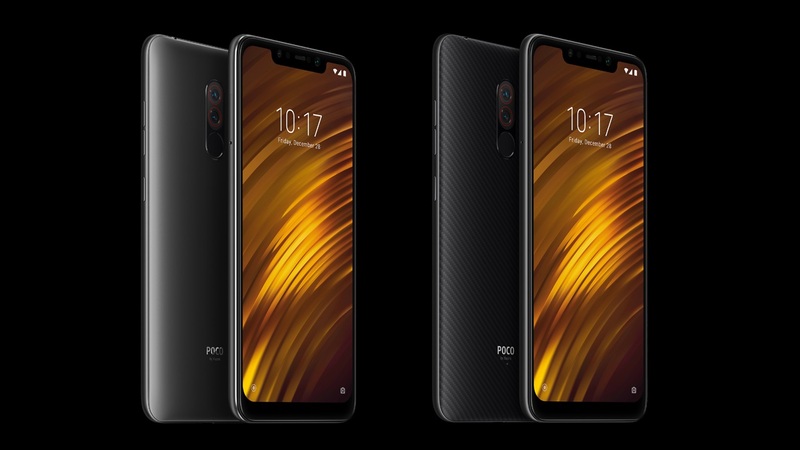 What is missing from the Xiaomi's POCO F1? POCO F1 lacks very few things and water resistance is one of those features. Although the company claims it to be splash proof there is no authentic certification regarding the water resistance. Many other flagships like Samsung Galaxy Note 9, Note 8 comes with IP68 certification and the iPhone X comes with IP67 certification. 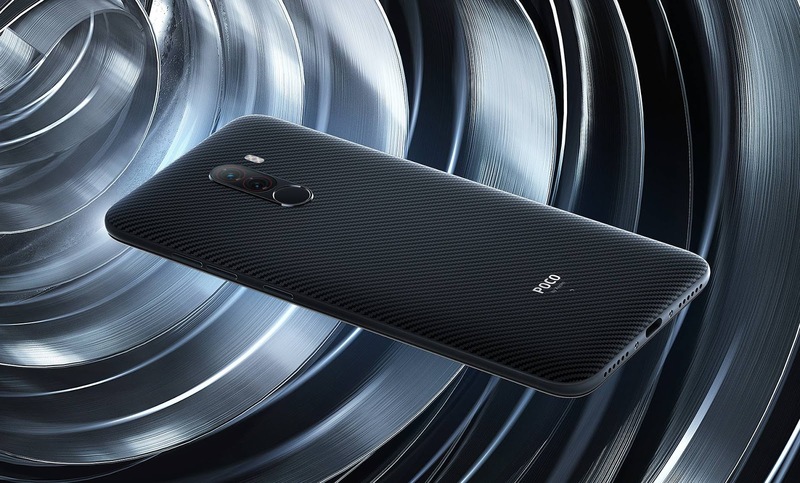 The brand like Oneplus has not officially announced any IP68 certification for their latest Oneplus 6 which seems little awkward and unexpected as it is crowned as a premium flagship smartphone. Very few premium flagship smartphones support wireless charging and it is nowadays becoming normal for any premium smartphone maker. Vendors like Samsung and HTC have been working hard on their devices to improve their wireless charge support technologies. Sadly there is no support for wireless charging in the POCO F1 but still, it won't bother many of us as it supports Quick Charge™ 3.0 and the device has a decent battery life. After some search on Google regarding the glass type used in the display of POCO F1, we can conclude that it may have Gorilla Glass but that is not officially displayed by the Xiaomi. There is no presence of glass type used in the Mi's official website but there is record present in Corning library where it declares POCO F1 protected by Corning Gorilla Glass. NFC or Near Field Communication is also missing from the POCO F1 which is nowadays available in Samsung's mid-range devices but that actually depends upon user requirement. NFC: It is a set of short-range wireless technologies, typically requiring a distance of 4cm or less to initiate a connection. NFC allows you to share small payloads of data between an NFC tag and an Android-powered device, or between two Android-powered devices. Most of the devices available in the market are very strong in specifications but they fail to prove themselves in the real world performance and usage. 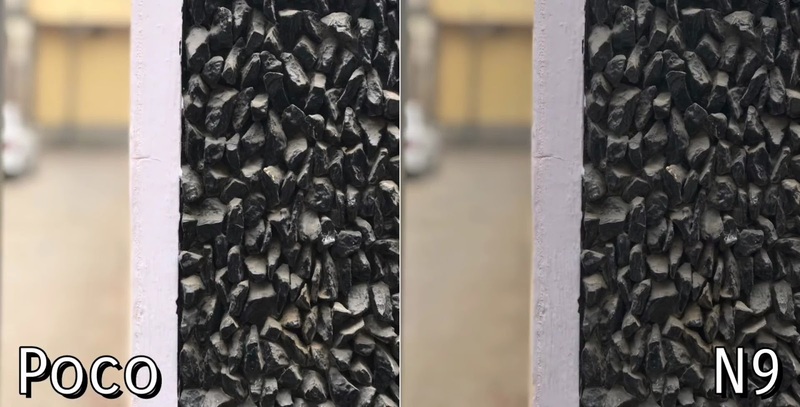 Well, this is not the scene with POCO F1 and we will compare the performance and overall build quality with some flagship smartphone present in the market. Great Camera (Should be the best in class)? The Camera on the POCO F1 is Ultra light-sensitive AI camera with 12+5 MP on the rear and 20 MP on the front. 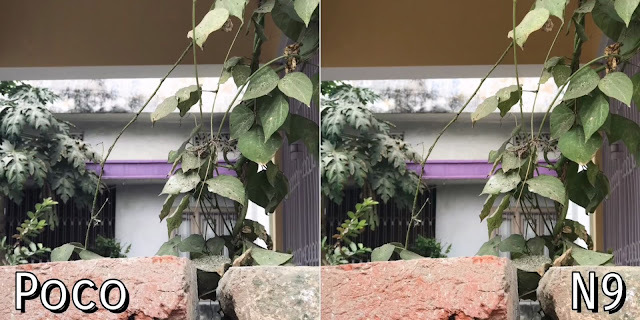 The camera performance of POCO F1 is excellent according to the budget segment it comes. However, in some cases, it is also able to overthrow Samsung Galaxy Note 9 camera performance. 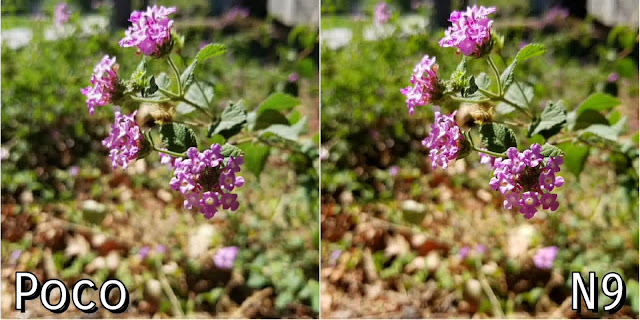 Below are some camera samples comparison of POCO F1 and Samsung Galaxy Note9. POCO F1 comes with 6.2" screen along with a notch on top. 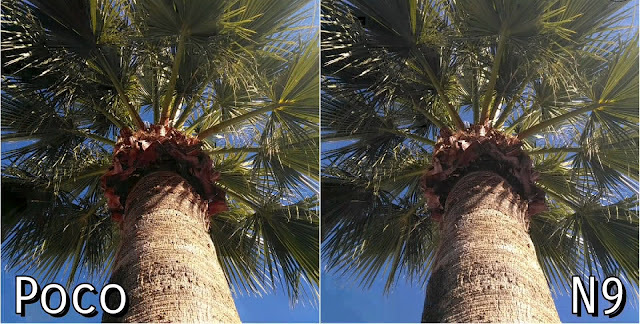 The screen being used by the POCO F1 is high quality IPS screen and this is the not the best one but it never disappoints the users related to color output or brightness issues. Viewing angles of this device are pretty good and have no issues while using in the direct sunlight. It is not having Amoled Display but still, the performance of the phone display is really impressive. The design is one of the main concern for every person thinking to buy a phone. Here I would like to say that POCO F1's design is not as much as impressive as other mobile phones in this segment. The base variant has simple back panel while the Armoured Edition comes with a premium pattern on the back cover but still, it is unable to beat other devices like Asus Zenfone 5z and Oneplus 6 whose overall design and build quality look more premium than POCO F1. Never ever feel that this device has any issues related to the performance as it is powered by Qualcomm's Snapdragon 845 it is capable to beat all other available SoC on the planet. The Qualcomm Snapdragon 845, a 10 nm chipset whose mobile platform is engineered to deliver immersive visual experiences and on-device AI user experiences with the Adreno 630 GPU and it is by far Qualcomm's best processor to date. POCO F1 also does not support any certification for water resistance but it offers a splash-proof performance which works pretty well in this real world. Since the company did not provide any certification for water resistance so it's useless to do some deep water resistance tests. Fast Charging support and battery life? The battery section is the one which is best in its class. It supports Quick Charge™ 3.0 that works pretty well and charges the phone at a good rate. It hosts a 4000 mAh battery and it is properly able to last up to 2 days on a regular usage. No device except Samsung Galaxy Note 9 and POCO F1 are powering Snapdragon 845 phone with 4000 mAh of battery and between these also POCO F1 has the best battery life. After all these comparisons in every field related to Hardware and Software followed by Processor, Camera, Body, Display, and Battery we can say that this device needs more appreciation. It does almost qualify every benchmark set for any flagship smartphone in this industry. 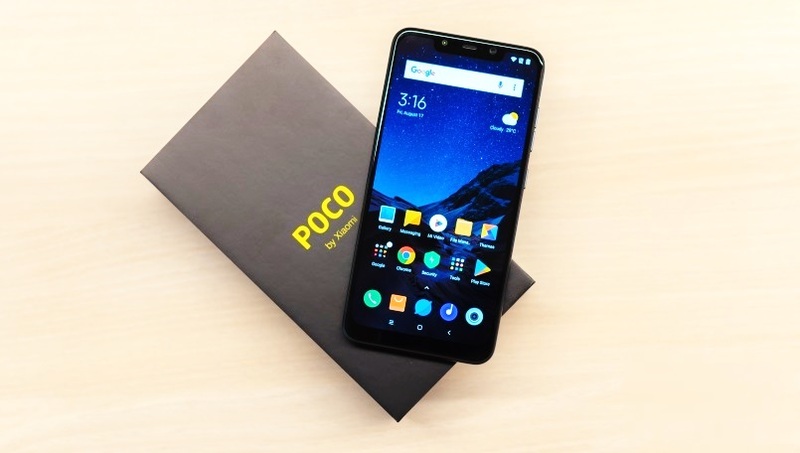 POCO F1(Pocofone) is a brilliant innovation by Xiaomi under a $300 segment having a flagship processor, a flagship camera, display, and an excellent battery life at very less cost. However, it lacks many features like Wireless Charging, Gorilla Glass Confirmation, Water Resistance and NFC is also missing but this a personal choice and depends upon the area of usage. It is not Water Resistant but is splash proof that means it will almost resist some sort of rain or any emergency situation. Concluding all the Pros and Cons, it is pretty much clear that POCO F1 deserves a title of True Flagship Smartphone but it is much justified to keep it under "Budget flagship smartphone" series because it is lacking some important features like unique and premium design and many missing features mentioned above. After all, Big thumbs up for Xiaomi's POCO F1 for being a beast under such low price segment.